(TibetanReview.net, Apr30, 2015) – There have so far been three known deaths of Tibetans living in Nepal as a result of the devastating 7.9-magnitude earthquake which hit the country on Apr 25. Besides, there have been serious damages to homes and properties of Tibetans living in different parts of the country, said the exile Tibetan administration at Dharamshala in a report posted on its Tibet.net website Apr 28. The earthquake’s effect on several remote Tibetan settlements remains unknown due to the disruption of communication lines. 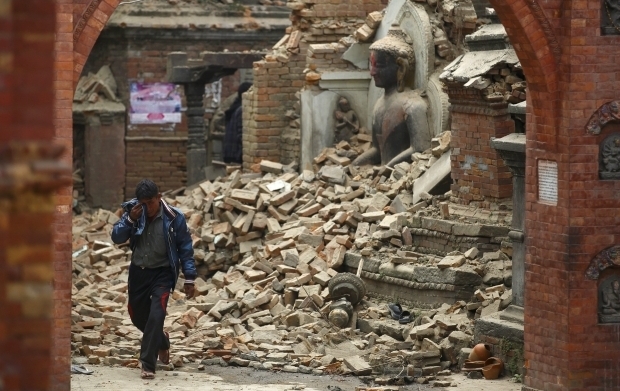 Those living in Boudha and Jorpati area seemed to have suffered the most. A building which houses 37 Tibetan families was severely damaged and could collapse, the report said. Homes and rented accommodations of many Tibetans in Boudha were damaged. A 30-year-old man named Chime died in Boudha after a wall collapsed on him during the earthquake. In the same area, the monastery of Libing Sendrak Rinpoche was severely damaged, including the living quarters of its monks. Besides, many nunneries in the area were damaged. One nun died during the earthquake while three others were severely injured. Cracks developed on walls of homes and other buildings as well as on fields in Kathmandu, Swayambhu, and Lo-tserok. The old staff quarters of the Office of Tibet in Kathmandu developed major cracks. And near Swayambhu at Kimtrol, one of two brothers living in a rented accommodation died after the building collapsed, while the other one was severely injured. At the Jwalakhel Tibetan handicraft centre, the main office was reported to have sustained damages, with the boundary walls of the area’s Tibetan settlement having developed cracked. In the border Tibetan settlement at Solokhumbu, a house had collapsed, with no further information being available. At Rasogiri, a school building developed cracks, with no report of loss of life. The Tibetan settlement at Wolung in Nepal, just across the border with Tibet, remained out of contact, as also other similarly remotely located settlements at Dothang, Manang, Tsum, and Nubri. The Tibetan settlements in Pokhara also remained out of contact, although unofficial sources were said to suggest that there were no major damages or casualties.